Airmen got a sneak peek at two of the trailers for the much anticipated George Lucas film Red Tails, at the Tuskege e Airmen 40th National Conference. But don’t look for Denzel Washington, Will Smith or Don Cheadle to grace the big screen when the film about the famed airmen hits theaters Jan. 20, 2012. Most of these guys were a little too old to play the young men that Lucas needed to make the film. Actors Terrence Howard (Iron Man, Hustle & Flow) and Cuba Gooding Jr. (Jerry McGuire, Men of Honor) might be easily recognizable as the senior officers in the film, but the majority of the cast is made up of lesser known actors like Andre Royo ( “Bubbles” on the HBO series The Wire), Michael B. Jordan (Friday Night Lights) and Nate Parker (The Great Debaters). Look for performances from actor/entertainers Method Man, of the rap group Wu-Tang Clan and R&B crooner/producer Ne-Yo. “Seeing it on the wide screen was almost like you were in there again,” he said. 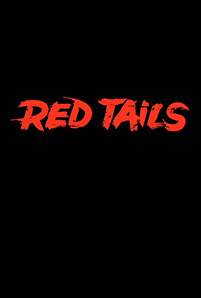 We’re having some technical difficulties embedding the video of the trailer, but click this Red Tails Trailer link to check it out.